Travelling is much more than visiting famous cities sited in the guide book, it is coming out of the ‘Urban Jungle’ and relishing the rural sites. Those who love wandering off to new places should definitely visit these places. From tiny old thatched house, soothing country music, and magical wonders, these Northeastern villages are nothing less than wonders. Let’s take you to some of the incredible villages in Northeast India. 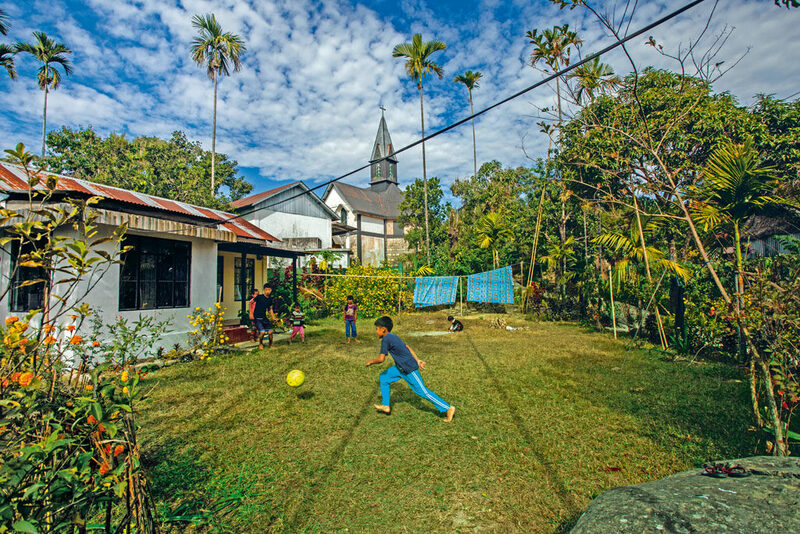 Awarded with the status of being ‘Cleanest Village in Asia’, Mawlynnong is a gem in the woods. In the midst of enchanting Meghalaya, lays a beyond belief remote village with its surreal beauty to soak in. Encompassing with rare ‘living root bridges’ to ‘crystal clear rivulets’, the ‘God’s own garden’ has it all. The village fascinates the wanderers looking their way to an existing paradise. The village is located in the East Khasi Hills of Meghalaya. The village earned the prestigious tag of ‘Cleanest Village in Asia’ in 2003 by Discover India Magazine. A small hamlet popular for its pottery, Andro exemplifies an authentic Manipuri village along with the cultural complex. The village is also famous for the Doll House, which showcases 29 different types of dolls that represent the cross cultural mix of Manipuri tribes. Mei Mutaba, an age old traditional Hindu temple where the sacred fire lit 1,000 years ago is another destination attracting tourists to the village. It has been preserved and maintained till now by the locals. 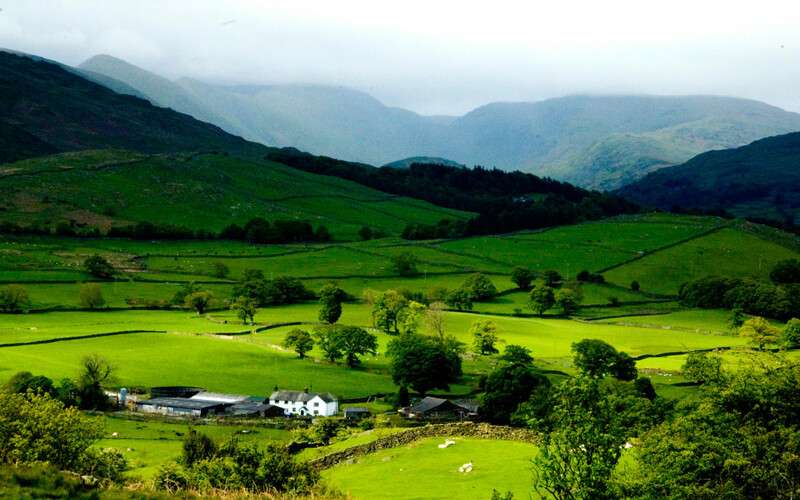 The village exhibits of what the rural can uphold which the urban is deficient of. 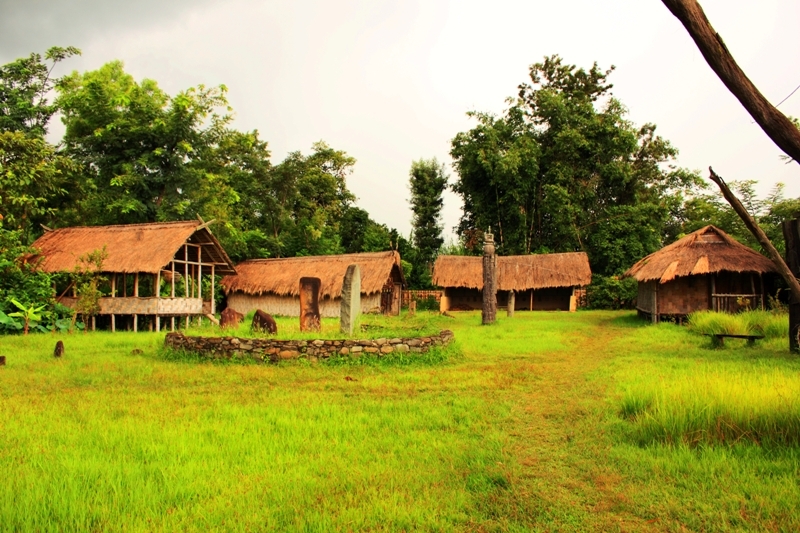 A village situated in the outskirts of Kohima, Kisama heritage village bears a resemblance to the erstwhile tribal culture of the Naga people. One can also witness the houses made from bamboo and tools used by Nagas for ages. 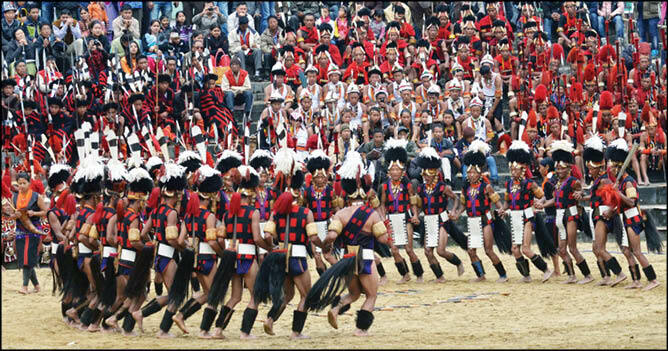 The village is opened to the public for a week in December, during the famous ‘Hornbill Festival’. The village is like an open air museum of Naga culture and traditions. Don’t miss out to an eternal experience of the majestic village. The village is home to the world’s biggest family, with a total of 181 members. 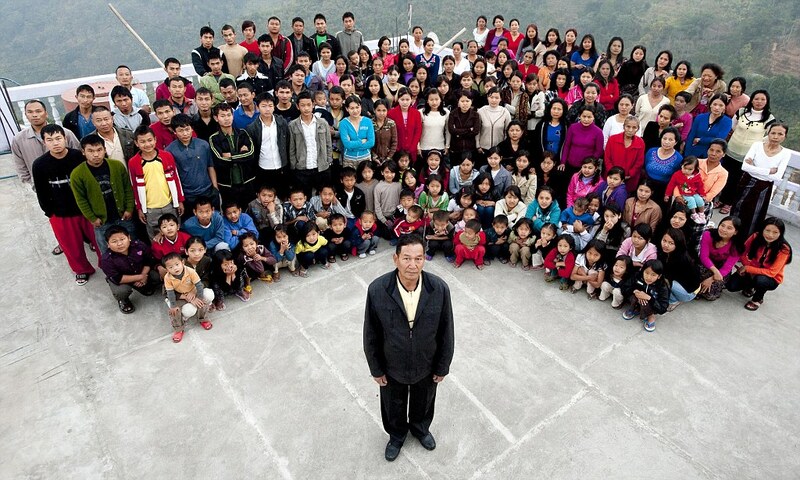 The family is headed by Ziona Chana along with his 39 wives, 94 children, 14 daughters-in-law and 33 grandchildren. The family lives in a 100-room, four storey concrete mansion set amidst the hills of Baktawng village. The marvel ‘Ziona’ was also featured on TV shows worldwide, including Ripley’s Believe It or Not! Witness this wonder by visiting Baktawng. Mayong village is also known as the ‘Land of Black Magic’ in Assam. Situated on the banks of the mighty Brahmaputra River in Morigaon district, the village has become a popular tourist attraction. A place where magic ‘cures’ diseases and helps in catching thieves, remains a secret to outsiders. The stories of ‘Witchcraft’ and the cloak of mystery shrouds Mayong. You will be spellbound with your visit to the mystical village. 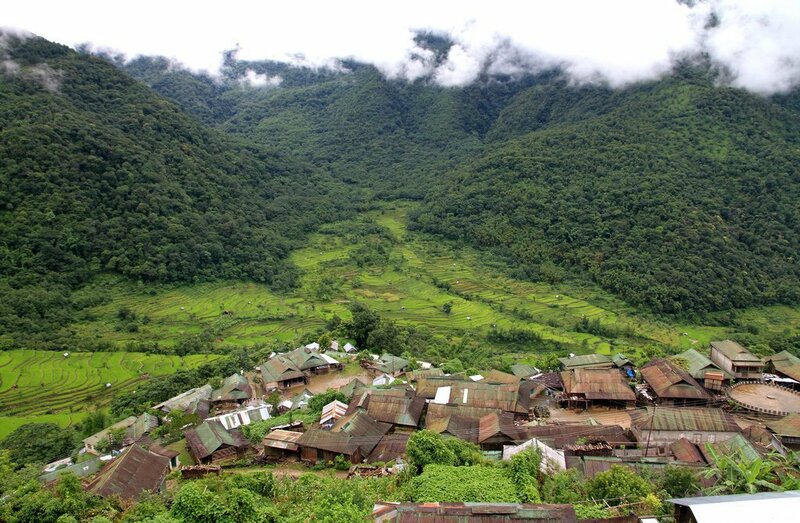 Home to Angami tribes, Khonoma is ‘India’s first Green Village’. 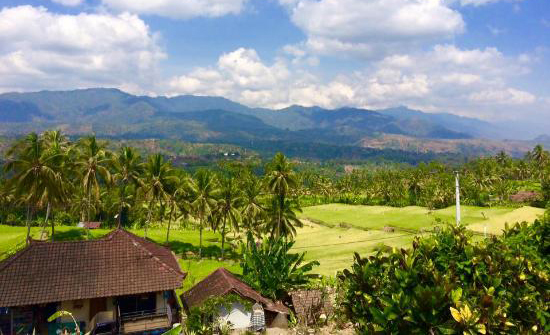 Surrounded by mountains, Khonoma village is a picturesque landscape for the tourists. The village now is primarily involved in eco-tourism. Khonoma is a must visit village as it truly justifies to the tag ‘Green Village’. A trip to Nagaland this December will beyond doubt be a thrilling experience.